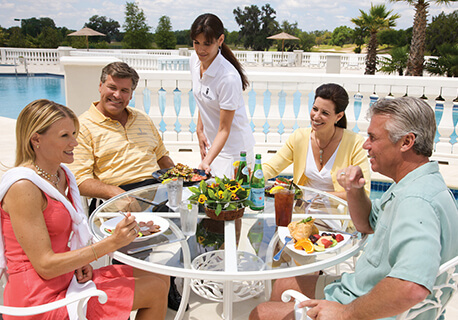 The Spa & Salon at Golden Ocala Golf & Equestrian Club offers the ideal setting for the ultimate indulgence for club members. We provide the finest equestrian, golf and tennis sports facilities as well as instructors in the Ocala, Florida area. 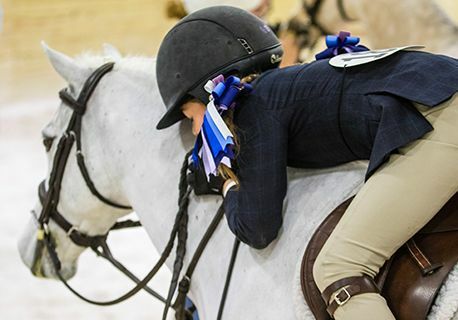 Our equestrian facilities cater to both the needs of your horses and you. Make sure to pamper yourself in our Spa & Salon, enjoy our zero-entry swimming pool, or take advantage of first-class food and dining options. Golden Ocala Golf & Equestrian Club gives you access to a variety of activities and wellness amenities to suit your active lifestyle. Begin the day exercising in the fitness center, play nine holes after work, and end the day with a massage and relax by the pool. Golden Ocala Golf & Equestrian Club is ideally situated in Central Florida, the Horse Capital of the World. The property, with beautiful rolling hills and majestic Oak trees, includes a network of private riding trails, horse suites, and the new, state-of-the-art World Equestrian Center Ocala that is being constructed and will begin hosting events in 2018. Golfers tee off on the championship 18-hole course designed by architect Ron Garl. The course features eight tribute holes from some of the world’s finest golf courses including Augusta National, Royal Troon, and St. Andrews. During 2015 and 2016, the Golden Ocala golf course hosted the LPGA Coates Golf Championship. Use the six-acre short game practice area that includes two full length practice holes. The mild climate of Central Florida is perfect for year-round play on the tennis courts. The Golden Ocala Tennis Club features six Har-Tru Hydro-Grid courts. 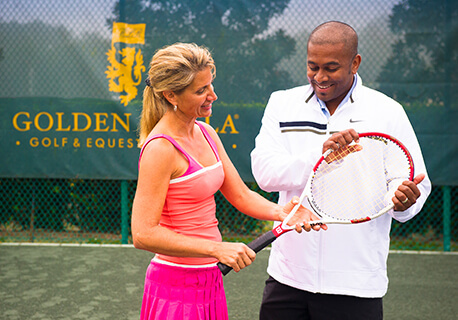 Golden Ocala's talented professional tennis staff offers lessons for adults and children. There are multiple tennis programs to fit the skill of any member. The dining options at Golden Ocala Golf & Equestrian Club are designed to suit your palate with tempting menus prepared by our executive chef and staff. Raspberry’s, the signature restaurant in the Golden Ocala Clubhouse, specializes in fine dining with one-of-a-kind culinary delights. 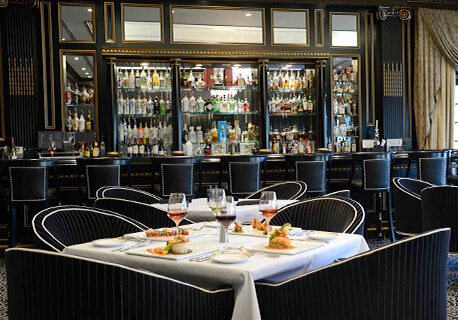 Casual fare is on the menu at Knickers Bar and Grill, also known as the 19th Hole. Café On the Green, adjacent to the Fitness Center, features lighter, healthier menu selections. The Spa & Salon at Golden Ocala is the ideal setting for indulgence. The luxurious treatment rooms are all designed to pamper. Try an invigorating massage after an intense fitness work out. Call 352.402.4350 to schedule your spa or salon appointment today, then relax and we will take care of the rest. At the Golden Ocala Fitness Center, members can lounge and enjoy a drink by the pool or swim a few laps to add to their fitness routine. 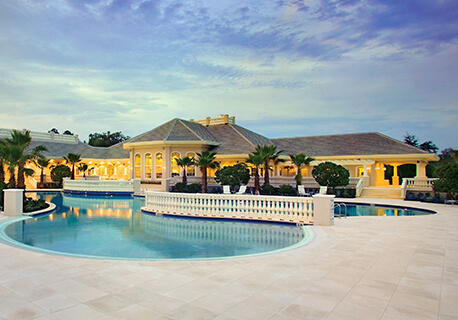 The refreshing zero-entry pool is a favorite destination on Central Florida’s sunny days. It's also heated for cooler nights. 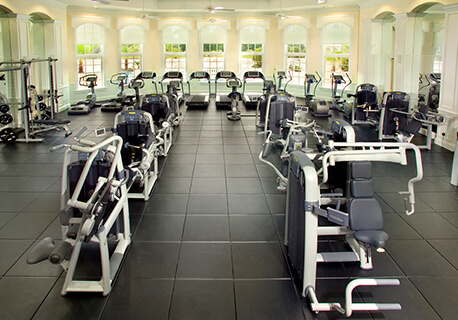 The Golden Ocala Fitness Center offers a wide range of exercise options to motivate members to achieve personal fitness goals. The professional fitness trainers can customize programs or suggest classes for cardiovascular and strength training to accelerate overall results for members. 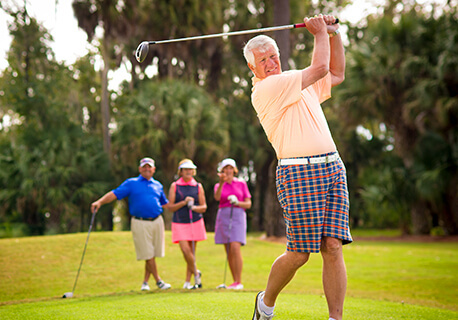 Golden Ocala Golf & Equestrian Club offers a variety of memberships to accommodate your active lifestyle.Golf, tennis and fitness offerings are available for those seeking all-inclusive sports benefits in a premier setting for both residents and non-residents. Memberships also provide exclusive access to the Spa & Salon, which allows members to pamper themselves and create a wellness regimen that suits their individual needs.